Are some painkillers safer for your heart than others? Despite new research, the answer is unclear. Use caution when taking any pain medication on a routine basis. People with aching joints from arthritis—which affects nearly one in four adults—often rely on drugs known as NSAIDs to ease the pain of this often-debilitating condition. These popular medications also relieve headaches, cool fevers, and dampen inflammation. But with the exception of aspirin, most NSAIDs pose a risk to the cardiovascular system, notes Harvard professor Dr. Elliott Antman, a cardiologist at Brigham and Women's Hospital. 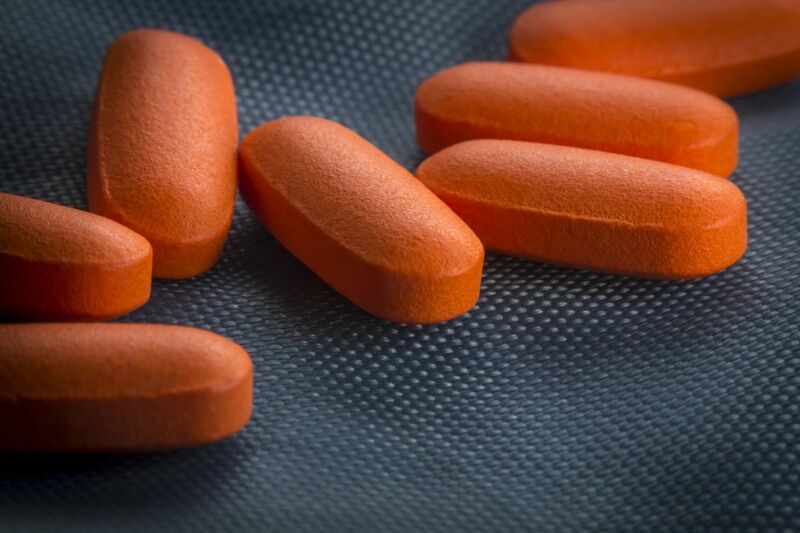 "Taking NSAIDs routinely over a long time period can raise the risk of blood clots, increase blood pressure, and accelerate cardiovascular disease," says Dr. Antman. While the danger is greatest in people with heart disease, it's also present in people without any signs of the disease. Researchers have scrutinized the safety of NSAIDs for more than a decade (see "A brief history of NSAIDs"). The most recent study was a 10-year-long investigation of more than 24,000 people with arthritis, who were assigned to take ibuprofen, naproxen, or celecoxib. The results, published in The New England Journal of Medicine on Nov. 13, 2016, suggest that people who took celecoxib were no more likely than those taking ibuprofen or naproxen to have a fatal or nonfatal heart attack or stroke. Also, people in the celecoxib group were less likely to have serious gastrointestinal bleeding compared with those in the other two groups. They were also less likely than those in the ibuprofen group to have kidney problems or to be hospitalized for high blood pressure. But limitations of the study created some uncertainty about the findings, according to Dr. Antman. For one thing, 69% of the participants had stopped taking their assigned drug by the end of the study, and researchers lost track of another 27%. Another concern was the dose of celecoxib, which was limited to the FDA-approved amount for treating people with osteoarthritis, who made up most of the trial participants. Their average daily dose was 209 milligrams (mg) per day—an amount unlikely to fully ease joint pain, some arthritis experts say. However, doctors were allowed to increase the prescription-strength doses of ibuprofen and naproxen to achieve better pain control (the average daily doses were 852 mg and 2,045 mg, respectively). The low celecoxib dose likely explains why that drug appeared to cause fewer harmful effects. And the resulting inadequate pain relief may be why more people in the celecoxib group dropped out of the trial than those in the other groups, says Dr. Antman. So it's still not entirely clear whether any of these three NSAIDs is safer for your heart than the others. If you're at risk for heart disease (or already have it), an NSAID for a headache or other occasional aches and pains is likely relatively safe. But if you need one several times a week, or every day, work closely with your doctor to choose the best drug for your needs—and make sure you're taking the lowest possible dose for the shortest possible time, advises Dr. Antman. He occasionally sees patients who've had a heart attack who take NSAIDs routinely, but more out of habit than necessity. "They might say, 'Oh, I started taking it after I twisted my back playing tennis about a year ago. I don't want to have that pain again, so I just kept taking it.'" That's a bad idea, he cautions. The widely used painkillers known as nonsteroidal anti-inflammatory drugs, or NSAIDs, include over-the-counter drugs such as ibuprofen (Advil, Motrin) and naproxen (Aleve, Naprosyn), as well as more than a dozen prescription-only drugs, including diclofenac (Voltaren), ketoprofen (Orudis), and nabumetone (Relafen). These NSAIDs work by blocking two enzymes, COX-1 and COX-2, which are responsible for making substances called prostaglandins that cause pain and inflammation. However, blocking COX-1 can also lead to bleeding in the stomach and intestines. A quest to avoid that problem led to the creation of drugs that block only COX-2 enzymes. While these drugs do seem to cause less stomach trouble, a 2004 study found that one of these so-called COX-2 inhibitors, rofecoxib (Vioxx), increased the risk of heart attack and stroke, leading to its withdrawal from the market. Similar concerns about the related COX-2 drug celecoxib (Celebrex) prompted the FDA to require additional research on this medication. Ask the doctor: Should I continue aspirin therapy if I do not have heart problems?